The folks over on LiveSide noticed an undocumented update to the Bing Reference search vertical, the site that offers semantically indexed Wikipedia content via the company’s Powerset division. Here, you have a better interface for searching through Wikipedia than what the Wikipedia website offers itself. 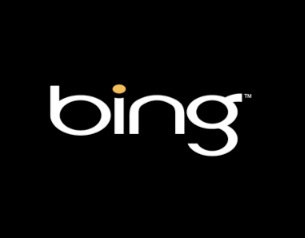 On Bing Reference pages, related searches are only a click away as are links to related videos and images. The Wikipedia article outline is also available as a floating box that moves with you as you scroll up and down the page instead of being a static box stuck at the top of the page, as it is on Wikipedia. Now the right-hand side panel of Bing Reference pages has also been improved with a new search box, highlighter, and other features. The related images and videos have been integrated into this box instead of being links elsewhere on the page. You can also use the provided search box to search within the article or click on the “highlighter” button to highlight specific text. When finished highlighting, you can then copy and paste the text into another application like your email or IM program, for example. The new sidebar panel also houses the article outline and, as before, it stays with you as you navigate up and down the page. Another new option, “locations,” pulls out the referenced locations found in the article and displays them as pushpins on the map. Below the map, you can see details about each location listed and can click “zoom here” to go directly to that city or locale. The locations are also hyperlinked to their own Wikipedia article, too, also hosted in Bing Reference. The new sidebar isn’t showing on all Bing Reference pages yet, but it showed up on 9 of the 10 pages that I pulled up. LiveSide points to the page for São Paulo as an example, but you can likely use your own hometown to see the sidebar in action.